Project 2003 users represent a variety of roles. Project manager. The traditional user of Microsoft Project, the project manager is still the hub around which all other roles rotate. 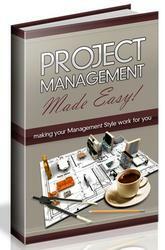 The project manager primarily uses Project Professional 2003 and occasionally also uses Project Web Access. The project manager g builds and adjusts the project, assigns resources, tracks progress, responds to changes, t mitigates risks, and communicates progress throughout the project's life cycle. 0 Resource manager. Although the project manager often plays the role of the resource man ager, Project Web Access 2003 makes it easy for a separate resource manager to work with the project manager to assign tasks to the right people. The resource manager uses Project Web Access with special resource-related privileges. The resource manager can manage data about users in the enterprise resource pool, review timesheets, and create resource-related views. Team lead. The team lead is often a user carrying out a set of project tasks while also fulfilling lead responsibilities for a small group of other team members. The team lead uses Project Web Access to do both. Team member. The team member implements the work of the project, actually completing the tasks that contribute to the goal of the project. Team members use Project Web Access to review, create, and update tasks and to see details of the project as a whole. They also use Project Web Access to enter and submit timesheet information regarding actual progress on assignments. Executive. Upper management, customers, or other managing stakeholders provide highlevel direction and support of the project, and keep an eye on progress through the use of specialized views in Project Web Access. They can also compare aspects of multiple projects against each other for sophisticated modeling or analysis. Portfolio manager. The portfolio manager is typically a managing stakeholder who manages the priorities and overall resource allocation for entire groups of projects. The portfolio manager has the default permissions necessary to take on some system administrator responsibilities, if needed. Administrator. The project server administrator configures Project Server 2003 and Project Web Access 2003 to implement the features and permissions needed by the organization. The administrator works mostly in Project Web Access and occasionally in Project Professional. Although these roles are distinct, it's entirely possible for one person to fulfill two or more overlapping roles and have the permissions in Project Server that reflect these multiple responsibilities. • Chapter 21, "Administering Project Server and Project Web Access for Your Enterprise," is written for the project server administrator and the portfolio manager. The chapter includes instructions on configuring Project Server and Project Web Access for workgroup and enterprise, as well as setting user permissions. Creation of custom fields and other standardization elements is covered, as is enterprise resource pool setup. Chapter 21 can also be reviewed by project managers who want a clearer picture of capabilities that are implemented by the administrator. • Chapter 22, "Managing with Project Professional and Project Server," is the project manager's chapter. It details processes for creating an enterprise project, either from scratch or from an existing local project. Building the project team from the enterprise resource pool is covered, as well as the details for workgroup collaboration from the project manager's standpoint. • Chapter 23, "Participating on a Team Using Project Web Access," is the chapter designed for the team member, team lead, and resource manager, who all work in Project Web Access. 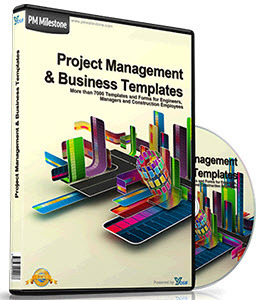 The chapter includes information on accepting and creating new task assignments, reporting on assignment progress, and viewing the overall project picture. Information on building project teams and delegating tasks is for team leads and resource managers. • Chapter 24, "Making Executive Decisions Using Project Web Access," is directed at the executive or other managing stakeholder who wants to review high-level project and resource information. Information about the Portfolio Modeler and Portfolio Analyzer is included in this chapter.